Doubleday Books for Young Readers, 9780553537550, 32pp. 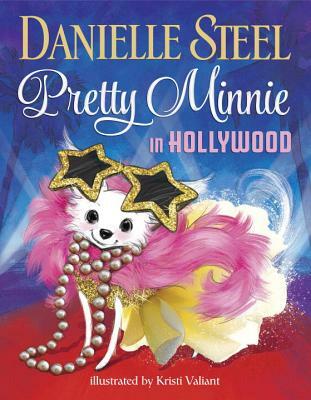 From mega-bestselling author Danielle Steel comes an adorable new children’s picture book featuring her very own Chihuahua! DANIELLE STEEL is one of the world’s most popular authors, with over 650 million copies of her novels in print. She is published in sixty-nine countries and forty-three languages. Ms. Steel also founded and runs two foundations: The Nick Traina Foundation, named in honor of her late son, which finances organizations that address mental illness and child abuse, and Yo! Angel!, which assists the homeless. In 2014, she was made a Chevalier de la Légion d'honneur, the highest honor bestowed by the French government. She is the mother of nine children and lives in Paris and San Francisco with her Chihuahuas, Minnie and Blue.